The events aim for social impact through entrepreneurial activity spearheaded by the Architecture Program of the LA Trade Tech College (LATTC) initiative, “Living Alleys,” and are in support of the fieldwork project of Professor Marcela Oliva. The FUTURES OF DEATH ALLEY is produced in collaboration with the LA design strategy firm, verynice. 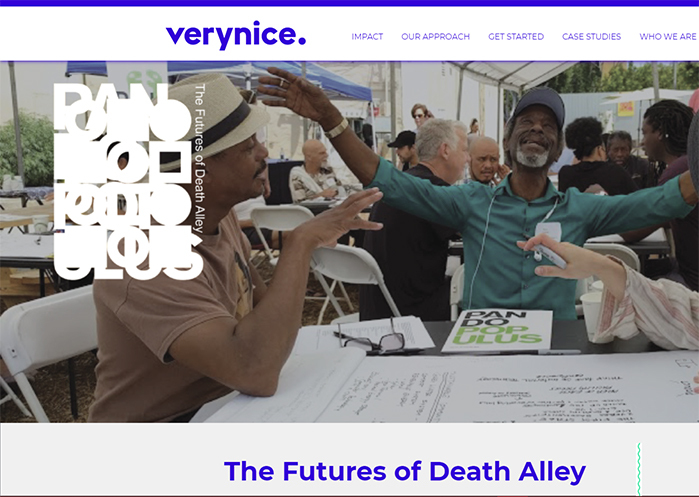 The Los Angeles design firm verynice continued its leadership of this Blitz event with a four-hour workshop to articulate a vision and explore future concepts that will create impact in vacant lots and alleyways of South Los Angeles. Participants included Five Points Youth Foundation, Sir Bailey’s Living Well Tour, and stakeholder groups. The event took place in Professor Oliva’s LATTC studio. 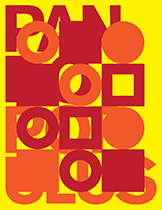 The vision for the future is to create a hub of resources that activates collective agency and strengthens the resiliency of underserved Los Angeles communities. The long-term strategy is to build a multipurpose “living building” that is environmentally friendly and mobile. How we will achieve the long-term strategy is to start with “living well” tours that function as funding opportunity, channel to engage community members, and a platform to socialize the “living building” concept. Starting with the living well tours can enable the realization of the living building concept by providing a way to collect resources and support. Next step: work with the LATTC community to further develop the reach and brand of the Living Well Tour, a pop-up music, art, and food fest that aims for holistic impact, at the Five Points Youth Foundation location and elsewhere in South Los Angeles. Our inaugural FUTURES OF DEATH ALLEY event took place at 1820 Florence Avenue, a street address that houses a small business center and a garden area in the back that had at one time been thriving. An alleyway spans the rear of the property. Next door is an empty lot that, until recently, had nothing on it but dilapidated cars, a rusted ice cream trailer, and an old boat. The location is the legal street address for Five Points Youth Foundation, a non-profit launched in 1984 by Congresswoman Diane Watson that has been reduced to a shell of its former self. It is still being kept alive through the generous entrepreneurial work of the business center landlord and the networking of the Foundation’s temporary head. They are hoping that the location could once again serve holistic needs of area youth and residents, become a hub of initiative, and serve as a place for healthy food, recycling, sustainability, and community resiliency. Now, new energy from two sources is giving reason for optimism. The Architecture Program of LA Trade Tech College has taken the location on as a place of fieldwork for its “Living Alley” revitalization initiative, and longtime LA architect Wayne Fishback has recently remade the formerly abandoned lot that sits adjacent to 1820 into a large, open-air meeting and festival space. Both efforts are working together with the Foundation. A street address for change has now been created. What’s needed are ideas for the site and entrepreneurial know-how and energy to make them happen. So this is where we stepped in, with a day-long innovation workshop that brought the existing team together with the most entrepreneurial and creative minds we could identify from local stakeholder communities. Together, they brainstormed next steps for making the most of the assets in-hand combined with the networks and energy needed to make hyper-local change happen. The day was facilitated by verynice, a design strategy firm based in downtown LA that helps works with communities across the globe to build capacity for innovation so that they may direct their energies into small-bet, achievable initiatives that can meet target goals.